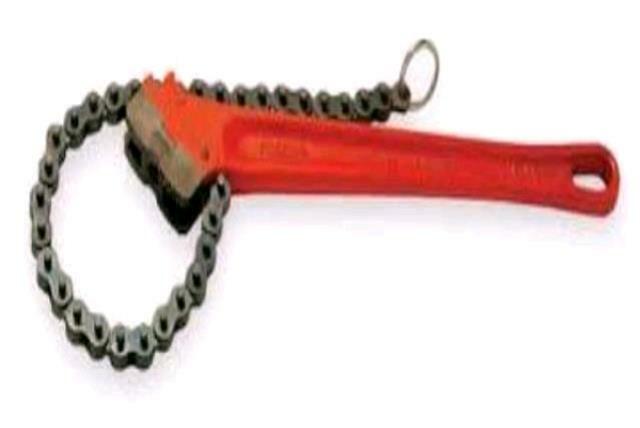 The wrench chain has dimensions of 18" handle with 20" chain and weighs 6lbs. Can work on approximately 6" diameter pipe and is best used for gripping pipes or large nuts. Do not use hammer or pound on equipment. Be careful of slippage.